Technology has revolutionized every industry by making the things quicker and effortless. Everything including the way we operate our businesses and deliver products to consumers can be done in a matter of clicks. One industry that has witnessed massive innovation in recent years is the banking and finance. 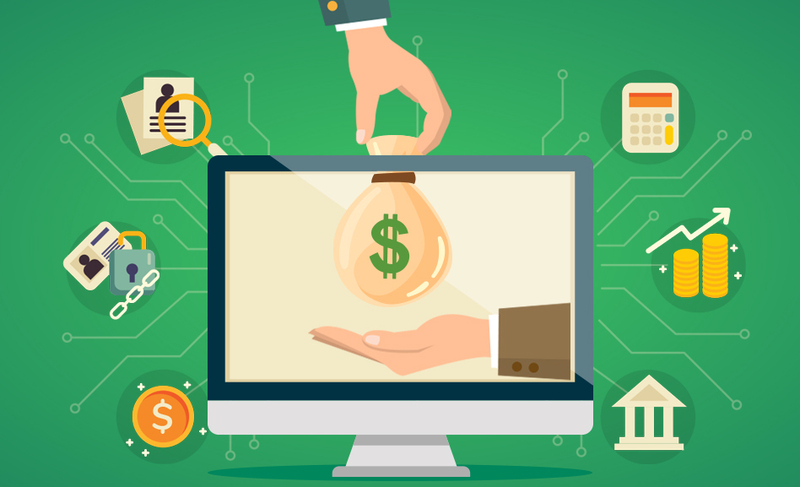 Technology has changed the way we used to lend and borrow money from individuals and banks. Rather than waiting for days for the loan approvals, customers can log in to the websites and apply for loans based on their credit scores. It has also paved the way to P2P lending which we will talk about later in the article. For now, let us discuss how technology has changed everything for the financial sector’s customers. Right from the loan origination to repayment, people can easily manage the loan process now. With the help of technical advancements, the lending industry is growing at a rapid pace. The workflows have been streamlined and the turnaround time has been reduced drastically. Everything seems to fall into place for the customers. To throw more light, we’ve outlined some key areas to showcase how technology is streamlining the lending sector. Traditional loan origination process involved arduous paperwork and collecting a plethora of documents. Even after applying and submitting all the documents, the verification process takes more than a couple of days which could be quite frustrating for many. Today a user can easily get a loan from banks or lending platforms through his mobile phone. The new age technology has eliminated the cumbersome documentation and brought transparency in the process. You can also obtain a pre-approved loan from a bank within a couple of minutes. Innovation and technology are always meant to be consumer-driven. Every financial and non-financial industry direct their efforts in order to provide better customer experience. Technology, in the lending sector, has upgraded everything that revolves around customer satisfaction. Be it technical support or taking feedback, the technology has played remarkably to sort out problems and provide better assistance. KYC is certainly amongst the most tiring and time-consuming process in the banking sector. Customers were required to go through several layers to complete the KYC process successfully. Technology has allowed us to reduce the time taken in the onboarding process by integrated KYC solutions. With the help of advanced portal and mobile applications, we can carry out the entire verification process without making many efforts. Leveraging the potential of technology, the lending world has made the process of evaluating a customer’s creditworthiness extremely easy. Numerous websites and apps can calculate your credit score in a matter of seconds. Loan Repayment is an integral of the lifecycle of a loan. Since years, loan repayment or collection has been a tedious task for the lenders. The innovations in the technology have made the process a breeze. People can simply touch their mobile devices a couple of times to repay their loans online. Marketplace lending uses the ‘online platforms’ to connect individuals with businesses who seek to borrow or lend money. Lenders leverage the technology to evaluate and initiate the loan process. The internet has helped to bring the lending world closer. Online marketplace lending is driving a paradigm shift from big banks to individuals and startups. This has resulted in one of the biggest innovation in the lending sector – Peer-to-Peer Lending. The technology has made it possible for the people to borrow and lend money securely without the interference of banking or any financial institutions. This resulted in less paperwork and seamless lending process. The lending sector has embraced the advancements of technology to deliver better services to their customers. The way banks and startups are coming up with innovative ideas to serve the customers is a remarkable effort. There have been numerous benefits that technology has brought in the view of streamlining the lending sector. And there are more to come surely.